Twenty Sided Spies takes place within the Heroic-Fantasy stylings of the Forgotten Realms setting. Created by author Ed Greenwood in 1967, it since has become one of the most iconic and oft-used settings for Dungeons and Dragons products. SO well used, in fact, that it is still used today, and has been for nearly every single 5th Edition (that's the version we play) product that's come out so far. It has centuries of history that have been released over decades of our history, and we like it a lot! Within the Forgotten Realms world, most of our adventures (at least for now) happen in the Sword Coast region, a place where independently ruled city-states attempt to build a network with each other while besieged by powerful neighbors, creatures from other worlds, or even the monstrous things that live in the frontiers between these bastions of civilization. Are you playing your own game in the Forgotten Realms? If so, we'd like to apologize for any disruptions that our agents may cause you. They don't mean it. The Harpers are a semi-secret organization that's existed in the Forgotten Realms for hundreds of years! 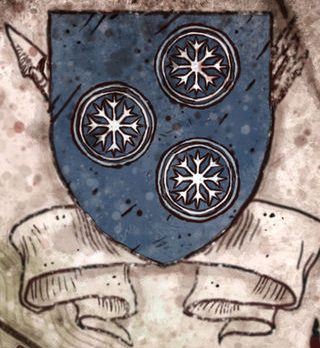 They've been destroyed and re-formed at least five times throughout their long history, and their current incarnation finds themselves as a group who hires adventuring types to covertly promote fairness, oppose evil, and keep a watchful eye on the proceedings of the realms. You Adventurer's League players can even play as a Harper agent in your own games! Just don't compromise yourself, now. Our agents are based in Neverwinter, a coastal city that was once marvelous, twice obliterated, and now thrice renewed. Picking up the pieces of their second truly destructive supernatural disaster, the city of Neverwinter is one that strives to be more than the star it once was, and all manner of people, places, and things can be found there or heading there. There were also some old-school RPGs that were based in Neverwinter, along with a new-school MMORPG! Spread the word about this show, we want a cameo!